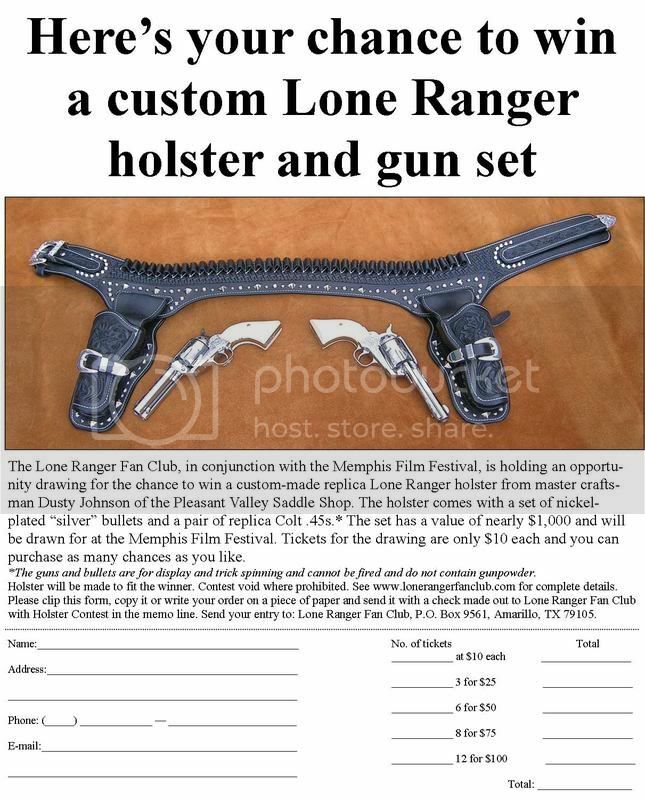 This is a great opportunity for Lone Ranger fans to try and win a custom holster set. You can also download the form at www.lonerangerfanclub.com. I would like to note that the tickets are only $10 each, but the set is worth nearly $1,000. Sales are slow so far, so the odds of winning are pretty good. This is a fundraiser to help us with expenses of the Memphis Film Festival. I hope y'all will attend and help us celebrate 75 years of the Lone Ranger and Tonto! Last edited by Lone Ranger; 02-29-2008, 07:30 PM.